High Fibre Chilas | My Cooking Diaries "CooklikeCecilia.com"
Sieve the flour and mix with the oats and salt. Add the onions, carrots, coriander leaves, green chillies, ginger and mix well. Mix the yogurt and knead to a soft dough adding water only if required. Form into even sized balls, roll out into flat discs and fry on a tawa to golden brown. 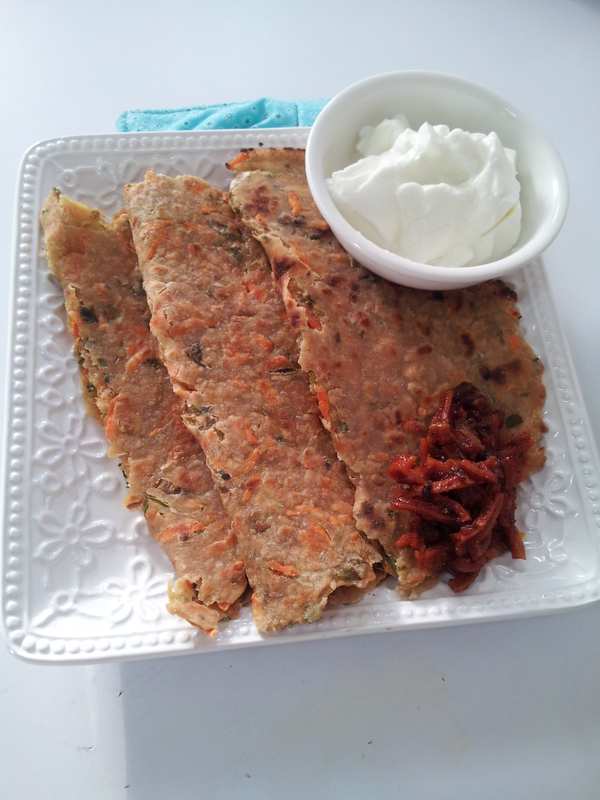 Smear ghee on both sides and serve hot with yogurt and pickle.